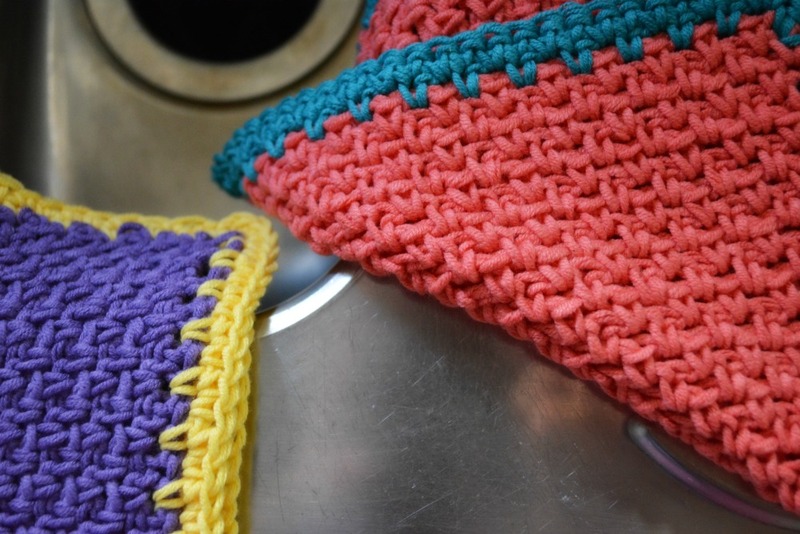 I Do Declare, a Darling crochet Dishcloth is Definitely going to transform your Dreary Dish washing…. Delivering you and your Dishes from Dirty and Dull to Divine! I Dare you to find someone who Doesn’t Deserve a Delectable Dishcloth aDorning their kitchen, Dashing Duty into Delight. 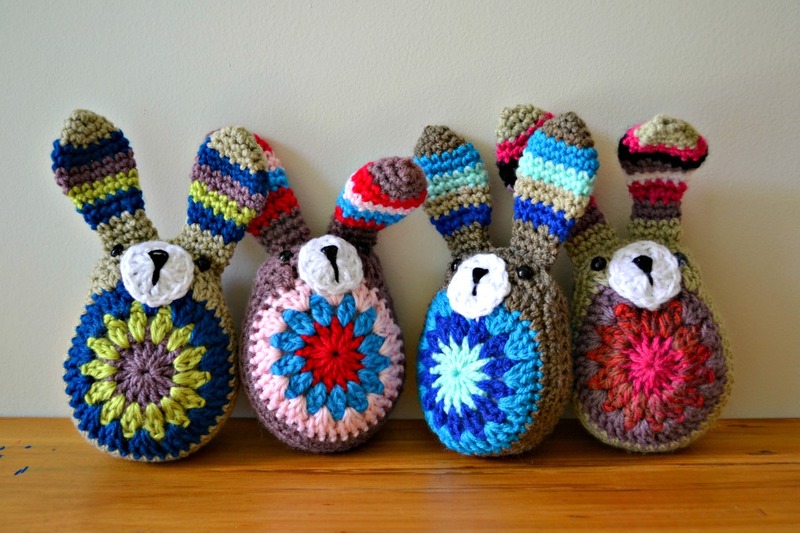 And Don’t despair, you can soon have a Dozen of these Decidedly Delightful Dishcloths too! Using a 5mm hook and worsted weight cotton, chain any multiple of 2 stitches + 2… I used 30. Row 1: Work 1 sc in 2nd ch from hook, *ch 1, skip next ch, sc in next ch; rep from * to end. Row 2 – 30: Chain 1, turn. Sc in the first space, *ch1, sc in the next space* rep from * to * across. Remember to chain one at the end of each row and turn. Continue working in rows until your square looks square! Fasten off and join a new color. Round one of edging: Repeat pattern, working AROUND the outside of your work (That’s sc in the chain 1 spaces, ch1) and work sc ch1 sc at each corner. Join with a ss to finish the round. Round 2: sc in each stitch around putting 2 sc’s in each corner space. Fasten off and weave in all ends. How cheerful! Such a lovely homey touch for a kitchen. Well done on that D alliteration! And yes, I am planning non making dishclothes at some point…just after I finish a load of other things first! Thank you Janette for the lovely dish cloth pattern – it certainly cheers up the kitchen – I must make some soon. People look at me like I’m crazy when I tell them I’m making a dishcloth. I know a knitted or crocheted dishcloth is the Rolls Royce of washing up equipment. Having one also reminds me of the old ladies of my childhood. We had a neighbour who was over 100 years old and used to keep entertained by knitting dishcloths. Later, when my own Grandma was old and couldn’t manage fancy knitting patterns, my Mum got her to knit dishcloths. It was great therapy and made her feel she was still useful. Long live the dish cloth I say. Be careful with your dishcloth making. Once I made some and I didn’t pay a lot of attention to my work because it was going to be used for washing dishes. Went to this one lady’s house that I had given a dish cloth and she had a lamp on it! My cousin displayed hers! My aunt keeps hers in a drawer and looks at them. Even after I have told them what fantastic tools they are, they still insist they are too pretty to use! Yours are gorgeous, BTW. Maybe I’ll make a dishcloth today. 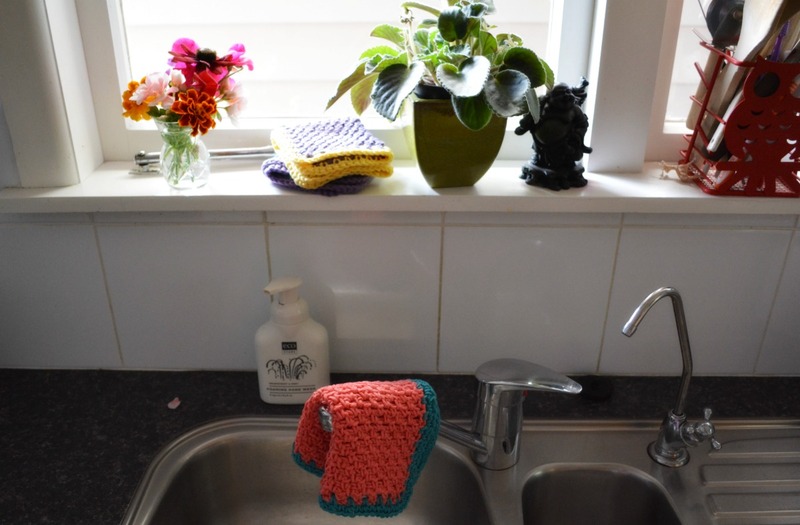 I crochet dish cloths all the time….for extra scrubbing power, I stitch each row from the back side of the chain, it will give the cloth a wash board texture. I could sure use some delightful new dish clothes. Mine are all icky and stained and some have holes. And i’ve always got cotton yarn in the stash. Good work, love the colors! I make dishcloths all the time and my favorite pattern is almost the same as yours, http://mykeeponkeepingon.blogspot.com/2014/07/crochet-dishcloths-and-pattern.html. Love, love, love to crochet dishcloths! 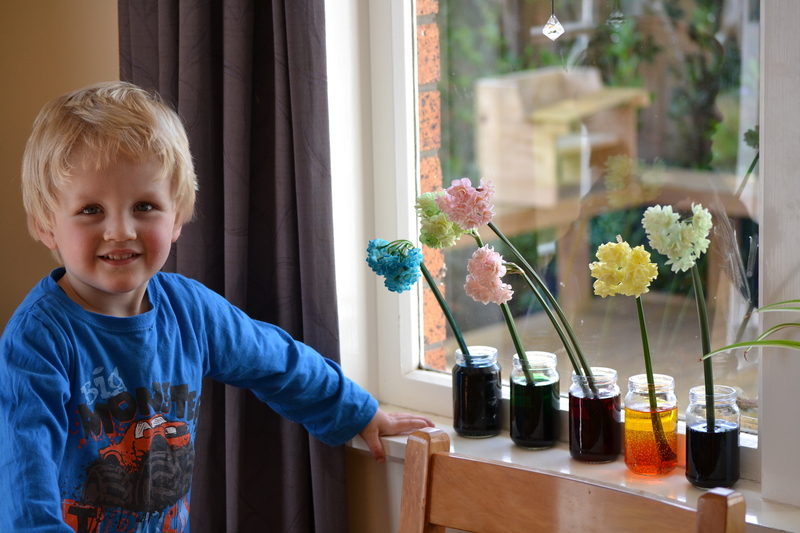 Love your color choices…so cheerful! These are great projects for watching thrillers…. the crochet helps with the tension I feel and if it is a particularly tense movie, I crochet faster! I’ve always been astonished that Americans do this but Rachel has reminded me of my Great Aunt who knitted tea costs and cloths like these. I don’t recall if she washed dishes with them but she definately used them for oven cloths and hot pan handles. Im certain she made them from string. You have some very lovely patterns here! I’ve shared some of them on my site under my crochet link, and I’ve included a site link to your blog on my site, too. Love your dishcloths! So pretty and thanks for sharing your great pattern. You inspired me to make some too!